Jones-Hamilton Launches New Litter Management Mobile App – Jones-Hamilton Co. 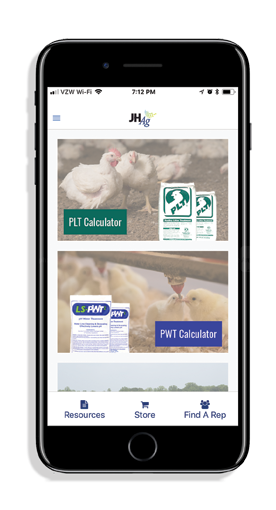 The Jones-Hamilton Company Agricultural Division recently launched a new mobile app, PLT pHacts, designed to help customers optimize the effectiveness of their litter and water treatment products, PLT® and LS-PWT2®, and support their overall litter and water management programs. As the first mobile app to support optimum litter management, calculators within PLT pHacts guide users through a series of questions about their litter, house conditions and other variables to provide a customized application rate. A second calculator provides customized addition rates of the water acidification product LS-PWT2 based on a producer’s water management goal, and incoming water pH and alkalinity. The PLT pHacts app also provides easy access to the latest resources from Jones-Hamilton, including articles, videos and news, and connects users to their online store to order litter management tools. The app is currently available for download on the Apple App store and Google Play store.